And the children of Israel were fruitful and increased abundantly, and multiplied, and waxed exceeding mighty; and the land was filled with them. In this article we want to discuss and identify the operation of the spirit of slavery. While looking at the children of Israel which is a type of the church, we can clearly see that the selected form of strategy to stop and shut down the children of Israel was “slavery”. I’m convinced that the same spirit operating back then is one of the same spirits the church is contending with today. The strategy of this spirit is to stop the progression of local communities and engage people in a “system of slavery” with provisions to remain content, thereby diverting away from the advancement of the kingdom. This behavior is more than often administrated in the context of the local church between leaders and the sheep. In Exodus 1:7 the children of Israel were fruitful and increased abundantly and multiplied and waxed exceedingly mighty; and the land was filled with them. What’s very important to note here is that the children of Israel were FRUITFUL, INCREASED, ABUNDANTLY, MULTIPLIED, and WAX EXCEEDINGLY MIGHTY before they were enslaved. Many times the children of Israel are identified with slavery only, however in the beginning of Exodus before slavery, the children of Israel were a governmental people. This position of authority became a threat to the powers of darkness. Therefore, the enemy of Israel which in this case was Pharaoh who strategically devised a plan to stop the increase and influence and governmental authority that resonated with Israel. The strategy was “slavery”. Come on, let us deal wisely with them, lest they multiply and it come to pass, when there befalleth any war, that they join also unto our enemies and fight against us and so get them up out of the land. V-11 Therefore they set over them taskmasters to afflict them with their burdens. And they built for Pharaoh treasure cities, Pithom and Raamses. Many of our local churches have come under attack by spiritual insurgences to stop the increase of influence and governmental authority that has been given and authorized by God himself. The enemy Satan has employed the same tactic; using the “spirit of slavery”, concealed in a different method to hinder the increase and progressive power of some local tribes. We will look at the earmarks of a plantation church structure. The purpose of the spirit of slavery within the context of the local tribe is to shut down the church in order to paralyze its growth and ability to be effective, along with ceasing the church from administrating one of its primary functions of exercising governmental authority in the earth. Slavery is primarily a method used to fulfill the lustful desire for power, money and control. This type of behavior is usually articulated with a list of threats which are designed to create fear. The instruction usually places an incredible emphasis on “submission to authority”, resulting with some form of contorted honor placed on the leader. Once the fear has secretly gripped an individual they are more likely to carry out the demands of the task master. Most saints under a slave master usually display signs of emotional instability. In many cases they are unable to engage in healthy relationships with family and friends because of the internal struggle to be free and the cryptic mental messages that are prepared by the taskmaster with half-truths which are presented for consumption. 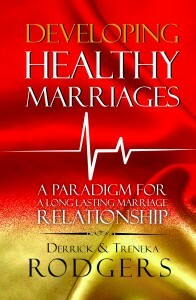 Marriages are highly pressured and never seem to be stabilized in this type of environment. Couples are turned against one another in some cases by playing one spouse against another to obtain control over the relationship. Because the taskmaster may be privy to personal relational details of the marriage; this provides them with strategic information to manipulate certain situations in their favor, thereby driving a wedge between couples that produce chronic contention for the couple in their home. People display signs of intense fear, afraid of losing their salvation, or being severely punished by God. One of the most common fears of saints is to become humiliated and singled out in the weekly sermon. Many are punished by becoming the object of discussion because they have violated the plantation rules. Taskmasters will use their platform of the pulpit to target individuals whom they believe are not compliant with the slave program. This form of activity has become a common strategy to control the saints and strike fear in the hearers. The utilization of the pulpit within this context is often the works of charismatic witchcraft. One way to identify a slave master and slave system is the taskmaster is always preoccupied with fighting with the saints within the congregation. They never have time to genuinely build because they are typically obsessed and preoccupied with contending with the saints, jockeying for control over their lives. Taskmasters feel the need to control; they are most frustrated when they are not controlling individuals. Therefore, when they can no longer control you, they will launch a campaign at some point to demonize individuals who refuse to submit to their control. They will mobilize the other saints to join in their campaign. The saints are often instructed to cut off any connection to the known perpetrator of the system. This means no more fellowship, and even in some cases people are instructed not to speak or talk to these people. It’s amazing to see people who have been fellowshipping one with another for years and become disconnected overnight because the taskmaster releases the orders and deems an individual of being in violation. Because of this activity within the context of control; the slave master will embrace tactics such as; “playing one person against another” by manipulating talents and giftings, in hopes of navigating systematic control. “This type of behavior reeks the scent of cultism”. In natural slavery in the US there were individual slaves called “house slaves”. They were the ones that blindly embraced the system and everything the slave master wanted. Therefore they were able to work in the master’s house while others worked in the field. This act was intended to place some form of contorted honor upon the so called faithful slaves. The slave master would use this tactic to whip the other slaves in line. The strategy was to reward one slave over another with the intent to make so-called rebellious and slacking slaves intimidated into slavishly obey. When you clearly identify the works of a slave system; be careful to never be used as a pawn or object of control to manipulate others to create an environment of competition. As soon enough your turn to become the focus of intimidation is right around the corner. If a taskmaster will use you to make someone else jealous and slavishly obey, there’s a pretty good chance they will also do it to you. If you don’t believe it, just remain in the concentration camp and your number will be called. One of the main stimulations of a task master is to play one individual against another in hopes of maintaining control. There are many saints that become fatigued and severely flagellant by the constant actions of such activity. I’ve witnessed many saints struggle with becoming active in ministry for years because of this adopted practice. 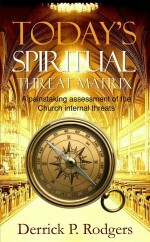 Many are in need of deliverance from spirits of church hurt and abuse of the taskmaster. Many relationships are instantly severed to only leave people wounded and hurt. I’m aware of the responsibility of a leader protecting the sheep from individuals whom enter into some form of sin and refuse to correct the way of their practice. Genuine leadership should always protect the sheep from valid harmful situations. However within the context of the spirit of slavery, taskmasters operate out of fear and control and often attempts to cloak themselves in the role of a compassionate leader. They will communicate that their actions are due to the protection of the sheep, when in reality their actions are activated to solidify and fortify their strategy of “fear and control”. Once the courage and decision is made to get out of this type of situation, many are in great need of deliverance from the emotional scars that has accumulated over time. The spirit of slavery has a special rejection for the male person. It can be seen in the eyes of the slave master that men (males) are more likely to refute their tactics of manipulation and control. Within the church, many will contend that men (males) are likely to stay home from church when a slave structure is in operation. Therefore, when examining the low attendance of males in church today; can be debated that the slave structures and cruel acts of a taskmaster are a significant contributing factor of why males are absent from church. Anytime there is an emphasis placed on the promotion of females only in a congregation and the men are rejected, oppressed, and ostracized is characteristic of a slave system in the making. Pharaoh released the orders to kill the male child for the reason to advance his plan of successful enslavement. It is noted that the male person in natural slavery in the US was a target of brutal character assassination which was administered by the taskmaster to control the family. The opportunity to abort the male child is always a choice strategy of a taskmaster. As a result of such behavior both spiritual and naturally many men (males) today are suffering from severe rejection and strives to be loved and accepted. In many cases these men seeks to express their self-worth in hopes of obtaining approval and acceptance. However, within the context of a church plantation structure their cries for acceptance from what they deem as “covering fathers” go unheard and the continual abuse to oppress is steadfast. Please note, this behavior is not only limited to males but females have also suffered the same fate. Let’s be clear there is no difference between male and female when comes to the workings of God. The Lord God will use any willing vessel. So please do-not read any more into the above statement than that which is mentioned. All men are not staying away from church because of a slave system. There are many males not attending church because they simply do-not want to be submitted to God. I’m not sure who you are; and God knows I wish I knew you! But, after God revealed to me many years ago that I had been sitting under a Spiritually Abusive Leader, I have been desparately trying to raise awareness on this issue. Unfortunately this has been a daunting task. I think I own every book on the subject of Spiritual Abuse/Toxic Churches. I truly appreciate you posting this information online. It came to me on Facebook through a dear Pastor that I fellowshiped with, Pastor Greg Howse. I love him because I saw in him, a sincerity and humbleness that I have rarely witnessed in men of God these days. Is there a way to reach you regarding this? You have my email. Please let me know. Thanks again for posting! Such a timely and powerful word! 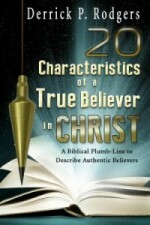 Many leaders are under deception and cannot possibly believe this spirit is alive and prevalent in today’s church age. This is an extremely informative article! It is on point and timely in this day and age! May we all receive and be blessed where needed, and be delivered by the message! Thank you for having the boldness to tell the truth, even when it comes to leadership. I have experienced and is a living witness of this form of behavior, that is going on the the body of Christ. This portion listed below of your article, I am living as we speak. Its sad and heartbreaking to know that this kind of stuff is going on in the body of Christ. We must ask ourselves, what is really going on, how can we get back on the right track, and how can we bring God’s heart concerning His people, back to Him and not ourselves? “They will mobilize the other saints to join in their campaign. The saints are often instructed to cut off any connection to the known perpetrator of the system. This means no more fellowship, and even in some cases people are instructed not to speak or talk to these people. It’s amazing to see people who have been fellowshipping one with another for years and become disconnected overnight because the task master releases the orders and deems an individual of being in violation. Because of this activity within the context of control; the slave master will embrace tactics such as; “playing one person against another” by manipulating talents and giftings, in hopes of navigating systematic control”. This is great! After finally reading the (the Willie Lynch Letter and the making of a slave), it has opened my eyes to see, that this day is still here and operating in the church. I suggest others to read it has well. 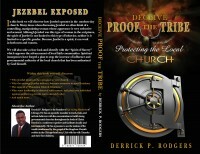 Thank you Apostle Derrick for this eye opening article. The spirit of slavery is real in the church today; suppressing any insightful thought, the incompetent people are in leadership positions because the taskmasters do not want thinkers and competent people around them in order to continue doing everything their way. A generation must rise to stop this and release the people of God.